a lot of my recent motifs have been from this book. I'm trying to put enough black and white scrumbles together for a project t hat I hope to finish this week. I liked a lot of things about this book, my only real criticism being the lack of diagrams. I really enjoy diagrams for motif work. I find them easier to follow. It's easy for me to lose my place in a complex row and some of the motifs are tricky. I found one thing to complain about, but many things to praise. For many motifs the authors give both a traditional way and an updated way to create the piece. There is a good explanation for working with padding cords and rings, something missing in vintage patterns or books that focus only on updated motifs. By far my favorite part was the clear explanation about how to work the fill in lace. That has been the part that trips me up when doing Irish or freeform crochet. I love Russian crochet magazines and have a huge collection - but occasionally I find the diagrams hard to follow. It's not the clarity of the instructions, it's just my inexperience that creates the issues. I've learned a lot,but sometimes the barrier has been just too much. After reading over this book and working many of the motifs, I find the Russian patterns to be much much easier to follow. I'm still working on learning the harder pieces, but it's getting easier. 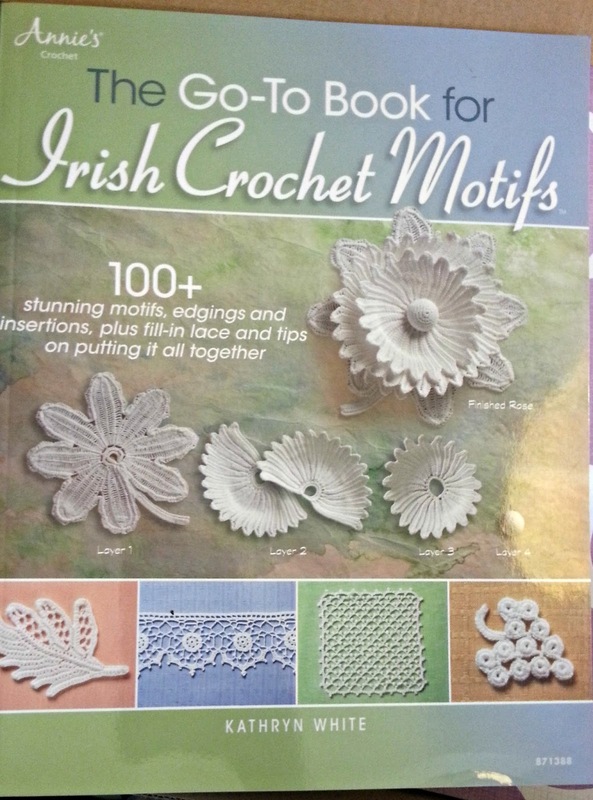 Basically, this is a great book for anyone interested in getting started with Irish or freeform crochet.